Paul Whitehead is Professor of Water Science at the School of Geography and the Environment and Director of the NERC Macronutrients Cycles Programme. He has a PhD in Dynamic Analysis of Water Resource Systems (Cambridge) and an MSc in Control and Systems Theory (Manchester). Prior to joining the School of Geography and the Environment in 2008, Paul worked at the University of Reading as Professor and Director of the Aquatic Environments Research Centre. His research interests have focused on dynamic behaviour of river, lakes, wetlands and catchments and the interactions between hydrology, water quality and ecology. He has developed the INCA suite of dynamic models which have been applied widely across the world in many countries and in all continents. His research has been funded by the UK Government (DEFRA, DTI, DFID), The UK Environment Agency, English Nature, NERC, EPSRC, ESRC, BBSRC, the EU in 5 framework research programmes from 1982 to the present, Water companies and other industrial partners. He also contributes to the MSc in Water Science, Policy and Management. 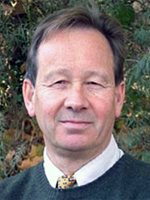 Professor Whitehead has served on several senior NERC committees such as the Thematic Programme Planning committees for the River Ecology Programme (NERC �8 million), Pollution Pathways Programme (NERC �8million), Land Use Research Programme (NERC �12 million), Joint NERC/AFRC Agricultural Pollution Programme (�9 million), NERC LOIS Programme (�36 million) and Environmental Diagnostics (NERC �6million). He has also been an environmental research advisor to the EU, European Governments and UNESCO. He has also worked in Nepal, Thailand, India, China, Taiwan, Brazil, Australia and the USA. He has published widely with over 90 papers in the refereed literature as well as being guest speaker at a wide range of conferences and meetings. Paul's research is focused on the interplay between environmental management of major problems such as climate change and pollution control and the development and application of new mathematical techniques for modelling environmental systems in the past, the present and into the future. Predicting the behaviour of water quality and ecosystems in rivers, lakes and wetlands is a crucial element of modern environmental management. Water resources and ecosystem health are key issues for EU and Government Policy especially to address Directives such as the Water Framework Directive and to assess the potential impacts of climate change. Paul is currently on the executive committee of the Euro-limpacs Project which is Europe's largest research project addressing the impacts of climate change on river, lake and wetland systems across Europe. As part of the project Paul has been developing a new range of models for modelling river catchments to simulate the behaviour of water flow and quality, as well as the behaviour of ecological parameters such as biomass of macrophytes, epiphytes and phytoplankton in streams. These models have been applied widely across Europe and provide a powerful set of tools for evaluating processes controlling water quality and ecosystems behaviour. Providing a potable source of water for peoples across the world is a crucial goal for sustainable development. Without a sound supply of high quality water peoples lives are blighted and most means of expanding economic and personal well being are severely limited. Paul's research aims to utilise his knowledge and expertise to work towards sustainable management in many countries around the world. Past projects have included studies in Jordon, Nepal, China and Brazil to assess man-made and natural pollution and to determine the best means to minimise problems and maximise the availability of water to communities. There are significant lessons to learn from the past and the application of modern hydrological and modeling techniques to evaluate past civilisations is a fascinating area of research. Paul has been involved in a key Leverhulme Project on water life and civilisation and this has recently involved studies in Jordan to assess the hydrology and populations levels of the ancient city of Jawa and a study of the Dead Sea to evaluate past, present and potential future water levels. Bussi, G., Janes, V., Whitehead, P.G., Dadson, S.J. and Holman, I.P. (2017) Dynamic response of land use and river nutrient concentration to long-term climatic changes. Science of the Total Environment, 590-591: 818-831. Lu, Q., Whitehead, P.G., Bussi, G., Futter, M.N. and Nizzetto, L. (2017) Modelling metaldehyde in freshwater systems: case study of the River Thames. Environmental Science: Processes and Impacts, 19(4): 586-595. Bussi, G., Dadson, S.J., Bowes, M.J. and Whitehead, P.G. (2016) Seasonal and interannual changes in sediment transport identified through sediment rating curves. Journal of Hydrological Engineering, 22(2). Bussi, G., Dadson, S.J., Prudhomme, C. and Whitehead, P.G. (2016) Modelling the future impacts of climate and land-use change on suspended sediment transport in the River Thames (UK). Journal of Hydrology, 542: 357-372. Bussi, G., Whitehead, P.G., Bowes, M.J., Read, D.S., Prudhomme, C. and Dadson, S.J. (2016) Impacts of climate change, land-use change and phosphorus reduction on phytoplankton in the River Thames (UK). Science of The Total Environment, 572: 1507-1519. Jin, L., Whitehead, P.G., Heppell, C.M., Lansdown, K., Purdie, D.A. and Trimmer, M. (2016) Modelling flow and inorganic nitrogen dynamics on the Hampshire Avon: Linking upstream processes to downstream water quality. Science of The Total Environment, 572: 1496-1506. Lu, Q., Futter, M.N., Nizzetto, L., Bussi, G., Jürgens, M.D. and Whitehead, P.G. (2016) Fate and transport of polychlorinated biphenyls (PCBs) in the River Thames catchment – insights from a coupled multimedia fate and hydrobiogeochemical transport model. Science of the Total Environment, 572: 1461-1470. Lu, Q., Jurgens, M., Johnson, A., Graf, C., Sweetman, A. Crosse, J. and Whitehead, P. (2016) Persistent Organic Pollutants in sediment and fish in the River Thames Catchment (UK). Science of The Total Environment, 576: 78-84. Nizzetto, L., Bussi, G., Futter, M., Butterfield, D. and Whitehead, P.G. (2016) A theoretical assessment of microplastic transport in river catchments and their retention by soils and river sediments. Environmental Science: Processes and Impacts, 18: 1050-1059. Rankinen, K., Butterfield, D., Sanchez, M.F., Grizzetti, B., Whitehead, P.G., Pitkanen, T., Uusi-Kamppa, J. and Leckie, H. (2016) The INCA-Pathogens model: An application to the Loimijoki River basin in Finland. Science of The Total Environment, 572: 1611-1621. Sharma, B.M., Bharat, G.K., Tayal, S., Larssen, T., Becanová, J., Karásková, P., Whitehead, P.G., Futter, M.N., Butterfield, D. and Nizzetto, L. (2016) Perfluoroalkyl substances (PFAS) in river and ground/drinking water of the Ganges River basin: Emissions and implications for human exposure. Environmental Pollution, 208(B): 704-713. Whitehead, P.G., Leckie, H., Rankinen, K., Butterfield, D., Futter, M.N. and Bussi, G. (2016) An INCA model for pathogens in rivers and catchments: Model structure, sensitivity analysis and application to the River Thames catchment, UK. Science of The Total Environment, 572: 1601-1610. Edmunds, W.M., Ahmed, K.M. and Whitehead, P.G. (2015) A review of arsenic and its impacts in groundwater of the Ganges–Brahmaputra–Meghna delta, Bangladesh. Environmental Science: Processes and Impacts, 17: 1032-1046. Lu, Q., Johnson, A.C., Jürgens, M.D., Sweetman, A., Jin, L. and Whitehead, P. (2015) The distribution of Polychlorinated Biphenyls (PCBs) in the River Thames Catchment under the scenarios of climate change. Science of The Total Environment, 533: 187-195. Nicholls, R.J., Whitehead, P., Wolf, J., Rahmand, M. and Salehind, M. (2015) The Ganges–Brahmaputra–Meghna delta system: biophysical models to support analysis of ecosystem services and poverty alleviation. Environmental Science: Processes and Impacts, 17: 1016-1017. Whitehead, P.G., Barbour, E., Futter, M.N., Sarkar, S., Rodda, H., Caesar, J., Butterfield, D., Jin, L., Sinha, R., Salehin, M., Leckie, H., and Nicholls, R.J. (2015) Impacts of climate change and socio-economic scenarios on flow and water quality of the Ganga, Brahmaputra and Meghna river system: low flow and flood statistics. Environmental Science: Processes and Impacts, 17: 1057-1069. Whitehead, P.G., Sarkar, S., Jin, L., Futter, M.N., Caesar, J., Barbour, E., Butterfield, D., Sinha, R., Nicholls, R., Hutton, C. and Leckie, H.D. (2015) Dynamic modeling of the Ganga river system: impacts of future climate and socio-economic change on flows and nitrogen fluxes in India and Bangladesh. Environmental Science: Processes and Impacts, 17: 1082-1097. Williams, R., Neal, C., Jarvie, H., Johnson, A., Whitehead, P., Bowes, M. and Jenkins, A. (2015) Water Quality. 8. in, Rodda, J.C. and Robinson, M. (eds.) Progress in Modern Hydrology: Past, Present and Future. Wiley-Blackwell. pp. 240-266. ISBN: 978-1-119-07427-4. Whitehead, P.G., Jin, L., Crossman, S., Comber, S., Johnes, P.J., Daldorph, P., Flynn, N., Collins, A.L., Butterfield, D., Mistry, R., Bardon, R., Pope, L. and Willows, R. (2014) Distributed and dynamic modelling of hydrology, phosphorus and ecology in the Hampshire Avon and Blashford Lakes: Evaluating alternative strategies to meet WFD standards. Science of the Total Environment, 481: 157-166. Baulch, H.M., Futter, M.N., Jin, L., Whitehead, P.G., Woods, D.T., Dillon, P.J., Butterfield, D.A., Oni, S.K., Aspden, L.P., O’Connor, E.M. and Crossman, J. (2013) Phosphorus dynamics across intensively monitored subcatchments in the Beaver River. Inland Waters, 3(2): 187-206. Crossman, J., Futter M.N. and Whitehead, P.G. (2013) The significance of shifts in precipitation patterns: modelling the impacts of climate change and glacier retreat on extreme flood events in Denali National Park, Alaska. PLoS ONE, 8(9 (e74054)). Crossman, J., Whitehead, P.G., Futter, M.N., Jin, L., Shahgedanova, M., Castellazzi, M. and Wade, A.J. (2013) The interactive responses of water quality and hydrology to changes in multiple stressors and implications for the long-term effective management of phosphorus. Science of The Total Environment, 454-455: 230-244. Jin, L., Whitehead, P.G., Baulch, H.M., Dillon, P.J., Butterfield, D.A., Oni, S.K., Futter, M.N., Crossman, J. and O’Connor, E.M. (2013) Modelling phosphorus in Lake Simcoe and its subcatchments: scenario analysis to assess alternative management strategies. Inland Waters, 3(2): 207-220. Whitehead, P.G., Crossman, J., Balana, B.B., Futter, M.N., Comber, S., Jin, L., Skuras, D., Wade, A.J., Bowes, M.J. and Read, D.S. (2013) Research article: A cost-effectiveness analysis of water security and water quality: impacts of climate and land-use change on the River Thames system. Philosophical Transactions of the Royal Society A, 371(2002): 1-17. This is one article from the Theme Issue ‘Water security, risk and society’..
Altansukh, O., Whitehead, P.G. and Bromley, J. (2012) Spatial patterns and temporal trends in the water quality of the Tuul River in Mongolia. Energy and Environment Research, 2(1): 62-78. Futter, M.N., Poste, A.E., Butterfield, D., Dillon, P.J., Whitehead, P.G., Dastoor, A.P. and Lean, D.R.S. (2012) Using the INCA-Hg model of mercury cycling to simulate total and methyl mercury concentrations in forest streams and catchments. Science of The Total Environment, 424: 219-231. Jin, L., Whitehead, P.G., Futter, M.N. and Lu, Z. (2012) Modelling climate change impact on flow and nitrogen dynamics in the River Thames, UK. Hydrology Research, 43(6): 902-916. Lázár, A.N., Wade, A.J., Whitehead, P.G., Neal, C. and Loewenthal, M. (2012) Reconciling observed and modelled phytoplankton dynamics in a major lowland UK river, the Thames. Hydrology Research, 43(5): 576-588. Whitehead, P.G. and Crossman, J. (2012) Macronutrient cycles and climate change: Key science areas and an international perspective. Science of The Total Environment, 434: 13-17. Whitehead, P.G. and Edmunds, W.M. (2012) Modelling and reconstruction of the River Kennet palaeohydrology and hydrogeology: Silbury Hill and Avebury in 4,400 BP. Hydrology Research, 43(5): 551-559. Whitehead, P.G., Butterfield, D., Black, E. and Plinston, D. (2011) Modelling Dead Sea levels and rainfall: past, present and future. In, Mithen, S. and Black, E. (eds.) Water, Life and Civilisation: Climate, environment and society in the Jordan Valley. Cambridge University Press, Cambridge. ISBN: 9780511975219. Whitehead, P.G., Jin, L., Baulch, H.M., Butterfield, D., Oni, S.K., Dillon, P.J., Futter, M., Wade, A.J., North, R., O'Connor, E.M. and Jarvie, H.P. (2011) Modelling phosphorus dynamics in multi-branch river systems: a study of the Black River, Lake Simcoe, Ontario, Canada. Science of The Total Environment, 412-413: 315-323. Whitehead, P.G., Smith, S. and Wade, A. (2011) Modelling water resources and climate change at the Bronze Age site of Jawa in northern Jordan: a new approach utilising stochastic simulation techniques. Chapter 18 in, Mithen, S. and E. Black (eds.) Water, Life and Civilisation: Climate, Environment and Society in the Jordan Valley. Cambridge University Press, Cambridge. pp. 289-301. ISBN: 9780521769570. Wood, E.F., Roundy, J.K., Troy, T.J., van Beek, R., Bierkens, M., Blyth, E., de Roo, A., Döll, P., Ek, M., Famiglietti, J., Gochis, D., van de Giesen, N., Houser, P., Jaffé, P.R., Kollet, S., Lehner, B., Lettenmaier, D.P., Peters-Lidard, C., Sivapalan, M., Sheffield, J., Wade, A. and Whitehead, P.G. (2011) Hyperresolution global land surface modeling: Meeting a grand challenge for monitoring Earth's terrestrial water. Water Resources Research, 47(W05301). Jin, L. and Whitehead, P.G. (2010) Modeling flow and nitrogen dynamics in the River Thames: implication of future climate induced water vulnerability in southeast England. British Hydrological Society (BHS) Conference Proceedings, University of Newcastle. Lázár, A.N., Butterfield, D., Futter, M.N., Rankinen, K., Thouvenot-Korppoo, M., Jarritt, N., Lawrence, D.S.L., Wade, A.J. and Whitehead, P.G. (2010) An assessment of the fine sediment dynamics in an upland river system: INCA-Sed modifications and implications for fisheries. Science of the Total Environment, 408(12): 2555-2566. Lázár, A.N., Wade, A.J., Whitehead, P.G. and Heppell, C.M. (2010) Modelling fixed plant and algal dynamics in rivers - an application to the River Frome. British Hydrological Society (BHS) Conference Proceedings, University of Newcastle. Whitehead, P.G., Lázár, A.N., Futter, M., Pope, L., Wade, A.J., Willows, R. and Burgess, C. (2010) Modelling sediment supply and transport in the River Lugg: strategies for controlling sediment loads. British Hydrological Society (BHS) Conference Proceedings, University of Newcastle. Whitehead. P.G. and Edmunds, W.M. (2010) Palaeo-hydrology and hydrogeology of the Upper Kennet at Silbury Hill in 4200 BP. British Hydrological Society (BHS) Conference Proceedings, University of Newcastle.. 20-28. Chapra, S. and Whitehead, P.G. (2009) Modelling impacts of pollution in river systems: a new dispersion model and a case study of mine discharges in the Abrud, Aries and Mures River System in Transylvania, Romania. Hydrological Research, 40(2-3): 306-322. Cox, B.A. and Whitehead, P.G. (2009) Impacts of climate change scenarios on dissolved oxygen in the River Thames, UK. Hydrology Research, 40(2-3): 138-152. Futter, M.N., Skeffington, R.A., Whitehead, P.G. and Moldan, F. (2009) Modelling stream and soil water nitrate dynamics during experimentally increased nitrogen deposition in a coniferous forest catchment at Gardsjon, Sweden. Hydrology Research, 40(2-3): 187-197. Whitehead, P.G. (2009) Modelling impacts of climate and environmental change on freshwater ecosystems. Hydrology Research, 40(2-3): 93-95. Whitehead, P.G., Butterfield, D. and Wade, A.J. (2009) Simulating metals and mine discharges in river basins using a new integrated catchment model for metals: pollution impacts and restoration strategies in the Aries-Mures river system in Transylvania, Romania. Hydrology Research, 40(2-3). Whitehead, P.G., Wade, A.J. and Butterfield, D. (2009) Potential impacts of climate change on water quality and ecology in six UK rivers. Hydrology Research, 40(2-3): 113-122. Whitehead, P.G., Wilby, R.J., Battarbee, R.W., Kernan, M. and Wade, A.J. (2009) A review of the potential impacts of climate change on surface water quality. Hydrological Sciences, 54(1): 101-124. Franklin, P., Dunbar, M. and Whitehead, P.G. (2008) Flow controls on lowland river macrophytes: a review. Science of The Total Environment, 400(1-3): 369-378. Whitehead, P.G., Smith, S., Wade, A.J., Mithen, S.J., Finlayson, B.L., Sellwood, B. and Valdes, P.J. (2008) Modelling of hydrology and potential population levels at Bronze Age Jawa, Northern Jordan: a Monte Carlo approach to cope with uncertainty. Journal of Archaeological Science, 35(3): 517-529. Futter, M.N., Butterfield, D., Cosby, B.J., Dillon, P.J., Wade, A.J. and Whitehead, P.G. (2007) Modeling the mechanisms that control in-stream dissolved organic carbon dynamics in upland and forested catchments. Water Resources Research, 43(W02424). Ranzini, M., Forti, C., Whitehead, P.G., Arcova, F., Cicco, V. and Wade, A.J. (2007) Integrated Nitrogen CAtchment Model (INCA) applied to a tropical catchment in the Atlantic Forest, São Paulo, Brazil. Hydrology and Earth Systems Sciences, 11(1): 614-622. Wade, A.J., Butterfield, D., Griffiths, T. and Whitehead, P.G. (2007) Eutrophication control in river-systems: an application of INCA-P to the River Lugg. Hydrology and Earth Systems Sciences, 11(1): 584-600. Whitehead, P.G., Heathwaite, A.L., Flynn, N.J., Quinn, P.F., Hewett, C. and Wade, A. (2007) Evaluating the risk of non-point source pollution from biosolids: integrated modelling of nutrient losses at field and catchment scales. Hydrology and Earth Systems Sciences, 11(1): 601-613. Whitehead, P.G., Jin, L., Crossman, J., Comber, S., Johnes, P.J., Daldorph, P., Flynn, N., Collins, A.L., Butterfield, D., Mistry, R., Bardon, R., Pope, L., and Willows, R. (2014) Distributed and dynamic modelling of hydrology, phosphorus and ecology in the Hampshire Avon and Blashford Lakes: Evaluating alternative strategies to meet WFD standards. Science of the Total Environment, 481: 157-166. Baulch, H.M., Futter, M.N., Jin, L., Whitehead, P.G., Woods, D.T., Dillon, P.J., Butterfield, D., Oni, S.K., Aspden, L.P., O'Connor, E.M. and Crossman, J. (2013) Phosphorus dynamics across intensively monitored subcatchments in the Beaver River. Inland Waters, 3(2): 187-206. Crossman J., Futter M.N. and Whitehead, P.G. (2013) The significance of shifts in precipitation patterns: modelling the impacts of climate change and glacier retreat on extreme flood events in Denali National Park, Alaska. PLoS ONE, 8(9): e74054. Jin, L., Whitehead, P.G. and Hadjikakou, M. (2013) A study of the Yeşilirmak River catchment in Northern Turkey: spatial patterns and temporal trends in water quality. Journal of Environmental Protection, 4(7A): 104-120. Jin, L., Whitehead, P.G., Baulch, H.M., Dillon, P.J., Butterfield, D., Oni, S.K., Futter, M.N., Crossman, J. and O'Connor, E.M. (2013) Modelling phosphorus in Lake Simcoe and its subcatchments: scenario analysis to assess alternative management strategies. Inland Waters, 3(2): 207-220. Whitehead, P.G., Crossman, J., Balana, B.B., Futter, M.N., Comber, S., Jin, L., Skuras, D., Wade, A.J., Bowes, M.J. and Read, D.S. (2013) A cost-effectiveness analysis of water security and water quality: impacts of climate and land-use change on the River Thames system. Philosophical Transactions of the Royal Society A, 371(2002): 1-17. Altansukh, O., Whitehead, P. and Bromley, J. (2012) Spatial patterns and temporal trends in the water quality of the Tuul River in Mongolia. Energy and Environment Research, 2(1): 62-78. Whitehead, P.G. and Crossman, J. (2012) Macronutrient cycles and climate change: key science areas and an international perspective. Science of the Total Environment, 434: 13-17. In, Special Issue: Climate change and macronutrient cycling along the atmospheric, terrestrial, freshwater and estuarine continuum, edited by Jarvie, Jickells, Skeffington and Withers. Whitehead, P.G. and Edmunds, W.M. (2012) Modelling and reconstruction of Upper Kennet palaeo-hydrology and hydrogeology: Silbury Hill and Avebury in 4200 BP. Hydrology Research, 43(5): 551-559. Whitehead, P.G., Butterfield, D., Black, E. and Plinston D. (2011) Modelling Dead Sea levels and rainfall: past, present and future. In, Mithen, S. and Black, E. (eds.) Water, Life and Civilisation: Climate, Environment and Society in the Jordan Valley. Cambridge University Press. ISBN: 978-0-521-76957-0. pp. 11. Whitehead, P.G., Smith, S. and Wade, A. (2011) Modelling water resources and climate change at the Bronze Age site of Jawa in northern Jordan: a new approach utilising stochastic simulation techniques. Chapter 18 in, Mithen, S. and E. Black (eds.) >Water, Life and Civilisation: Climate, Environment and Society in the Jordan Valley. Cambridge University Press, Cambridge. pp. 289-301. ISBN: 9780521769570. Whitehead P.G., and Edmunds M. (2010) Palaeo-hydrology and hydrogeology of the Upper Kennet at Silbury Hill in 4200 BP. British Hydrological Society Third International Symposium: Role of Hydrology in Managing Consequences of a Changing Global Environment, 19-23 July 2010, Newcastle University, Newcastle upon Tyne, United Kingdom, pp. 20-28. Whitehead, P.G., Butterfield, D. and Wade, A.J. (2009) Simulating metals and mine discharges in river basins using a new integrated catchment model for metals: Pollution impacts and restoration strategies in the Aries-Mures river system in Transylvania, Romania. Hydrology Research, 40(2-3): 323-345. Whitehead, P.G., Wilby, R.J., Battarbee, R.W., Kernan, M. and Wade, A.J. (2009) A review of the potential impacts of climate change on surface water quality. Hydrological Sciences Journal / Journal des Sciences Hydrologiques, 54(1): 101-124. Whitehead, P.G. (2009) Modelling impacts of climate and environmental change on freshwater ecosystems. Hydrology Research, 40(2-3): 1-3. Chapra, S. and Whitehead, P.G. (2009) Modelling impacts of pollution in river systems: a new dispersion model and a case study of mine discharges in the Abrud, Aries and Mures River System in Transylvania, Romania. Hydrology Research, 40(2-3): 306-322. Futter, M.N., Skeffington, R.A., Whitehead, P.G. and Moldan, F. (2009c) Modelling stream and soil water nitrate dynamics during experimentally increased nitrogen deposition in a coniferous forest catchment at Gardsjon, Sweden. Hydrology Research, 40(2-3): 187-197. Whitehead, P.G., Smith, S., Wade, A.J., Mithen, S.J., Finlayson, B.L., Sellwood, B., and Valdes, P.J. (2008) Modelling of hydrology and potential population levels at Bronze Age Jawa, Northern Jordan: a Monte Carlo approach to cope with uncertainty. Journal of Archaeological Science, 35(3): 517-529. Franklin, P., Dunbar, M. and Whitehead, P.G. (2008) Flow controls on lowland river macrophytes: A review. Science of The Total Environment, Corrected Proof, Available online 21 July 2008. Whitehead, P.G., Heathwaite, A.L., Flynn, N.J., Quinn, P.F., Hewett, C. and Wade, A. (2007) Evaluating the Risk of Non-point Source Pollution from Sewage Sludge: Integrated Modelling of Nutrient Losses at Field and Catchment Scales. Hydrology and Earth Systems Science, 11(1): 601-613. Ranzini, M., Forti, C., Whitehead, P.G., Arcova, F., Cicco, V. and Wade, A.J. (2007) Integrated Nitrogen Catchment Model (INCA) applied to a Tropical Catchment in the Atlantic Forest, Sao Paulo, Brazil. Hydrology and Earth Systems Science, 11(1): 614-622. Whitehead, P.G., Wilby, R.L., Butterfield, D. and Wade, A.J. (2006) Impacts of Climate Change on Nitrogen in Lowland Chalk Streams: Adaptation Strategies to Minimise Impacts. Science of the Total Environment, 365: 260-273. Skeffington, R.A., Whitehead, P.G. and Abbott, J. (2006) Quantifying Uncertainty in Critical Loads: (B) Acidity Mass Balance Critical Loads on a Sensitive Site. Water, Air, and Soil Pollution, 169: 25-46. Wade A.J., Neal, C., Whitehead, P.G., and Flynn, N. (2005) Modelling Nitrogen Fluxes from the land surface to the coastal zone in European systems: the perspective of the INCA project. Journal of Hydrology, 304: 413-429. Cox, B.A. and Whitehead, P.G. (2004) Parameter Sensitivity and Predictive Uncertainty in a new water quality Model, Q2. Journal of Environmental Engineering, 131(1): 147-157. Whitehead, P.G., Hall, G., Neal, C., and Prior, H. (2005) Chemical Behaviour of the Wheal Jane Bioremediation System. Science of the Total Environment, 338: 41-55. Whitehead, P.G., Cosby, B.J. and Prior, H. (2005) The Wheal Jane Wetlands Model for Bioremediation of Acid Mine Drainage. Science of the Total Environment, 338: 125-135. Whitehead, P.G. and Neal, C. (eds.) (2005) Special Issue - Bioremediation of Acid Mine Drainage: The Wheal Jane Mine Wetlands Project. Science of the Total Environment, 338. Snook, D. and Whitehead, P.G. (2004) A Review of Water Quality and Ecology of the River Lee. Hydrology and Earth Systems Science, 8(4): 636-650. Whitehead, P.G., Hill, T., and Neal, C.N. (2004) Impacts of forestry on Nitrogen in upland and lowland catchments: a comparison of the River Severn at Plynlimon in Mid Wales and the Bedford Ouse in South-East England using the INCA model. Hydrology and Earth System Science, 8(3): 533-544. Wade, A.J., Whitehead, P.G., Jarvie, H.P., Neal, C., Prior, H. and Johnes, P.J. (2004) Nutrient Monitoring, Simulation and Management within a Major Lowland UK River System: The Kennet. Mathematics and Computers in Simulation, 64: 307-317. Neal, C. and Whitehead, P.G. (eds.) (2002) Special Issue - Water quality functioning of lowland permeable catchments: inferences from an intensive study of the River Kennet and upper River Thames. Science of the Total Environment, 282/283: 3-9. Whitehead, P.G., Lapworth, D.J., Skeffington, R.A. and Wade, A. (2002) Excess nitrogen leaching and C/N decline in the Tillingbourne catchment, southern England: INCA process modelling for current and historic time series. Hydrology and Earth System Science, 6(3): 455-466. Whitehead, P.G., Johnes, P.J. and Butterfield, D. (2002) Steady state and dynamic modeling of nitrogen in the River Kennet: impacts of land use change since the 1930s. Science of the Total Environment, 282-283: 417-435. Whitehead, P.G. (2002) Water Quality. In, Chatwin, P. (ed.) Encyclopedia of Environmetrics. John Wiley. pp. 23. Maszle, D.R., Whitehead, P.G., Johnson, R. and Spear, R.C. (1998) Hydrological Studies of schistosomiasis transport in Sichuan Province, China. Science of the Total Environment, 216(3): 193-203. Whitehead, P.G., Wilson, E.J. and Butterfield, D. (1998) A semi-distributed Integrated Nitrogen Model for Multiple source assessment in Catchments (INCA): Part I - Model Structure and Process Equations. Science of the Total Environment, 210/211: 547-558. Whitehead, P.G., Wilson, E.J., Butterfield, D. and Seed, K. (1998) A Semi-distributed Integrated Nitrogen Model for Multiple source assessment in Catchments (INCA): Part II Application to large River Basins in South Wales and Eastern England. Science of the Total Environment, 210/211: 559-583.